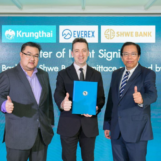 The central bank governors in both Thailand and Myanmar has just granted their blessing to the KTB Shewbank, a remittance project that uses blockchain to help reduce costs for Myanmarians in Thailand looking to send money back home to their families. 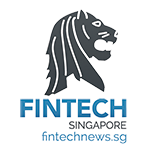 Powered by Everex, a Singapore-based blockchain company, the Krungthai Bank and Shwe Bank Remittance project is a joint service that allows customers to transfer money via smartphones, hopefully creating a reliable platform with competitive exchange rates. The goal for this blockchain project is to solve a key problem for cross-border transfers for the targeted underbanked customers: trust. There are over 3 million Myanmar migrant workers living and work in Thailand, and sending money home can be difficult. High remittance costs and limited banking hours push the migrants to use informal channels to send money back home. With the remittance project, the Ethereum blockchain creates a bridge between Krungthai Bank, Shwe bank and between the migrant workers and their families. It will enable Myanmar migrant workers to send their money home using the Everex digital remittance platform. Blockchain allows for a cheaper and more quick process thanks to the automation of cross-border transactions from the sender’s smartphone. Blockchain would also allow senders to keep an eye on their money via the Everex wallet. Digital transactions would be quicker than cash, to boot. Currently, Everex is conducting focus-groups and is working on a pilot with both banks and Myanmar communities in Thailand to implement the service.